The Private Reserves adjoining the Kruger National Park, together all forming the Greater Kruger Park Conservancy. As previously stated:- “Twenty years ago there were 8 “commercial” safari lodges in Southern Africa. Today there are in excess of 2 800! Of the 8 original safari lodges, four are situated in the Greater Kruger National Park Conservancy area of South Africa, those being Sabi Sabi, Londolozi and MalaMala. All three are situated in the private Sabi Sand Reserve which falls within the Greater Kruger National Park Conservancy. One Motswari, is situated in the Timbavati Private Game Reserve, which borders the Kruger National Park and falls within the Greater Kruger Park Conservancy. The other 3 are situated in Botswana and Zimbabwe. 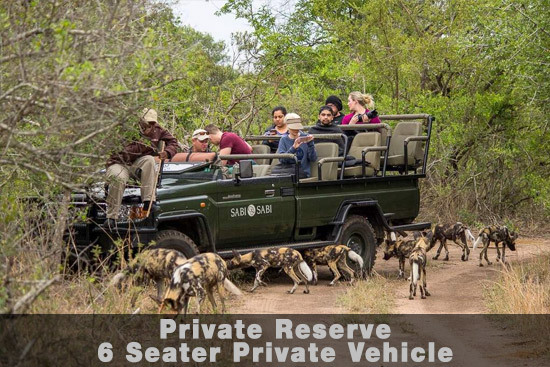 The Sabi Sand Private Game Reserve covers an area of 65 000 hectare / 153 000 acres it is now part of the Greater Kruger National Park and there are no fences between The Kruger National Park and the Sabi Sand Private Game Reserve. The animals move freely through this enormous natural reserve. This is one of South Africa’s most treasured natural sanctuaries, and is why Dive The Big 5 uses the Lodges in the Sabi Sand Private Game Reserve, along with Lodges and Camps within Kruger, and with Lodges and Camps within the iMfolozi / Hluhluwe Game Reserve in KwaZulu/Natal. All three areas, since time immemorial, have been home to Africa’s Big 5 animals, lion, leopard elephant, rhino and buffalo. What better places to spend your time on safari, other than in one of the 3 original wildlife preserves in Africa! 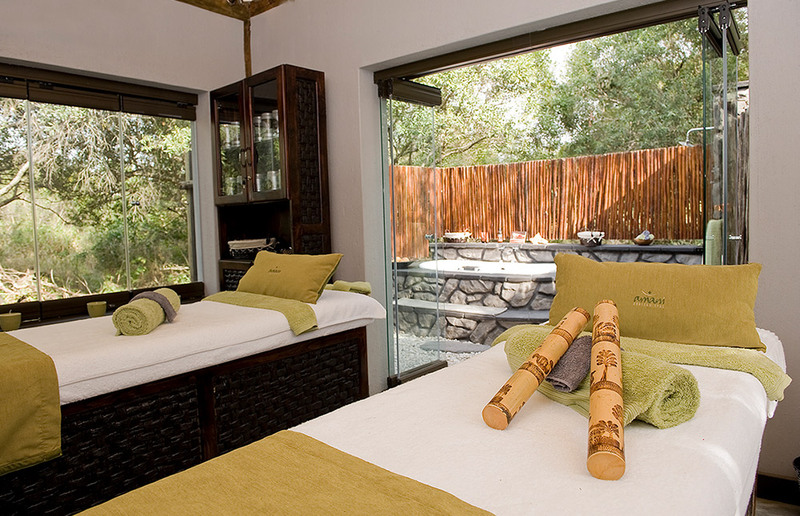 Why then in the Sabi Sand Private Game Reserve specifically? Consider this: An average game drive (safari) with Londolozi, in the Sabi Sand Game Reserve is between 7 and 10 kilometres per game drive. That’s a safari that lasts from sun rise, for about 3 hours after sunrise, to when you return to the Lodge for breakfast. Compare that with an average game drive (safari) with a Lodge in the Timbavati Private Game Reserve, which averages about 35 kilometres per game drive. That safari / game drive also lasts from sun rise, for about 3 hours after sunrise, to when you return to the Lodge for breakfast. Why 10 kms vs. 35 kms?????? 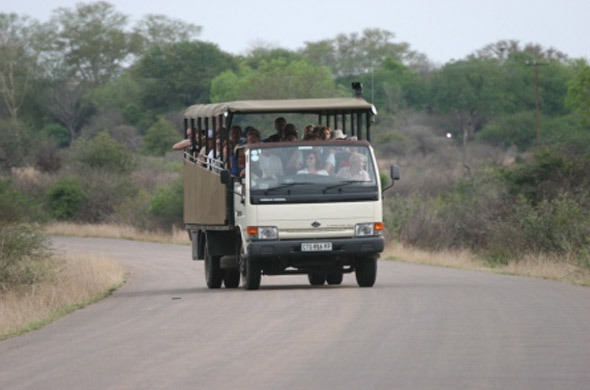 No, Londolozi Rangers don’t drive at a snail’s pace vs. the Rangers in the Timbavati driving at break-neck speed. It’s a known fact that on a 2-night stay at Londolozi you are almost guaranteed to encounter all of the Big 5, yet over the same period spend at any other reserve you will battle to encounter the “Big 5” over a 5-day period! It’s the concentration of game (animals) that make the difference! The reason being animal concentrations. 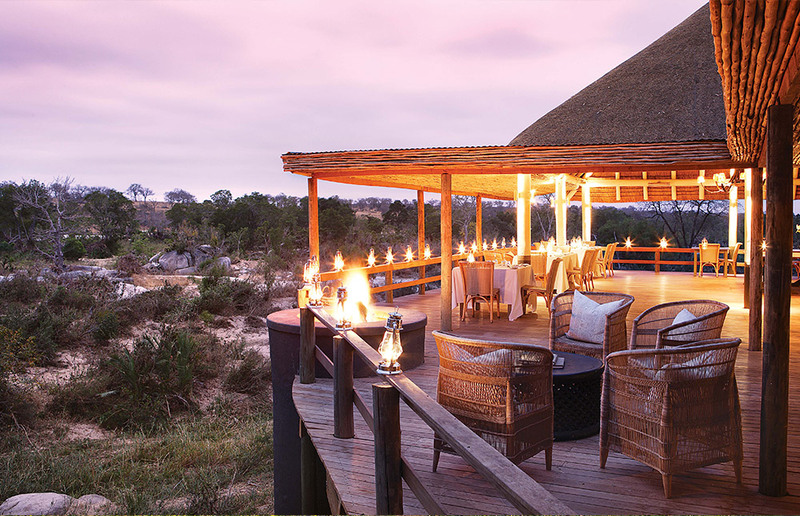 The Sabi Sand Private Game Reserve is situated in prime game viewing land. The Reserve has extremely fertile soil, as it is situated at the confluence of the Sabi River and the Sand River. The soil type is therefore very rich and fertile and is able to sustain a large variety of plant species, and the area also has ample water throughout the year, meaning that the animals don’t have to move any great distance in order to find grazing and drinking water. This is a great plus. Because of the varied vegetation type, the areas can sustain a vast array of herbivores, and in great numbers. A large varied species, and in great numbers, equals a large number pf prey species that, because of a large number of prey species that are concentrated is a relatively small confined area. The predators, therefore, do not have to have large territories needed in order to hunt down their prey! This is the reason why Londolozi / Sabi Sabi / MalaMala only need to do a 10-kilometres per game drive (safari) to find most of the animals vs. those Lodges situated in less fertile areas, with less water, which has to do in excess of 35-kilometres per game drive (safari), and yet are still not be able to compete with the likes of Londolozi / Sabi Sabi / MalaMala for the number of animal species encountered on any one game drive (safari). The downside is that you get what you pay for! 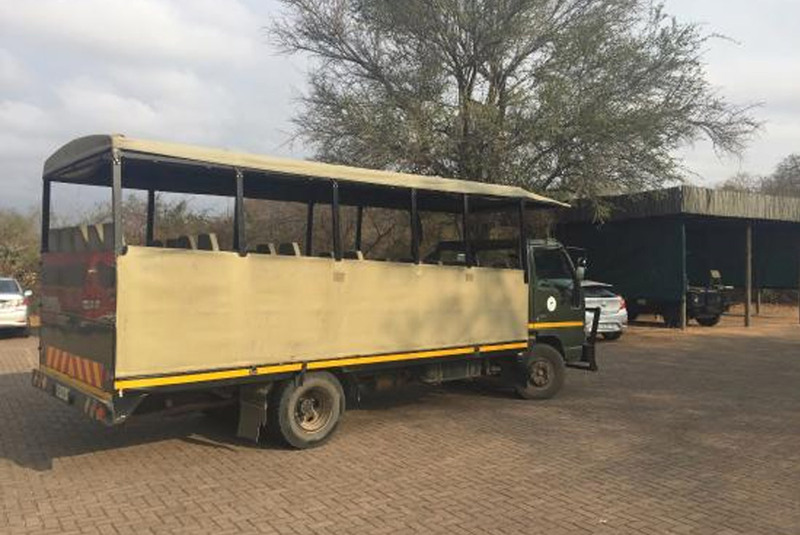 Are way more expensive than the Camps that we use in Kruger, and are also way more expensive than other Lodges situated in other Private Game Reserves Reserves like The Timbavati; Balule; Klaserie; Umbabat; the Manyeleti etc….. These reserves are not nearly as comparable in terms of location, animal species, and the size of predator territories, which are the main factors when considering which lodge to spend your time on safari at. Neither are they comparable in terms of “creature comforts” such as accommodation, cuisine, staff hospitality; safari vehicle capabilities, ranger and tracker knowledge etc….. I know, I was a ranger once, in the Manyleti, and we have a transfer company that does many road transfers from Kruger Mpumalanga International Airport to all the lodges situated in the Kruger, and in the Private Reserves, on a daily basis, such as The Sabi Sand Private Game Reserve, the Timbavati Private Game Reserve, the Balule Private Game Reserve, the Klaserie Private Game Reserve, the the Umbabat Private Game Reserve and the Manyeleti Private Game Reserve, all of which fall within the Greater Kruger Park Conservancy. We get unsolicited client feedback. We know which Lodge lives up to their guest’s expectations, and which Lodges don’t! Please also be warned. 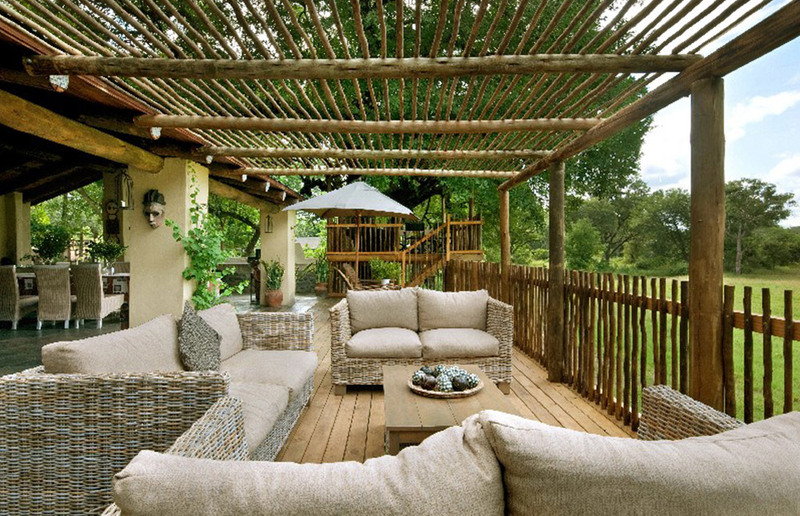 As much as you “get what you pay for” – there are also “Game Reserves” and “Game Reserves”. Today every landowner who has a sizable piece of land and game (wild animals) on their property, which are either found there naturally, or that have been re-introduced, and who has built a lodge (of sorts) now operates a game farm/game reserve/nature reserve offering wildlife safaris. There are “game reserves” which are known as “soft” reserves,” meaning that they have animals like antelope, monkeys, giraffe etc roaming free, but none of the “Big 5”. The Big 5 are: lion, leopard, elephant, rhino and buffalo, and were given the name “Big 5” by the early big game hunters, as these 5 animals species were, and still are, the most dangerous animals in the African bush to hunt. If you are a hunter – that is! Then there are game reserves that have all the “soft” game (animals) free roaming and the “Big 5” are kept in separate areas / pens, camped off from the other game, so that the carnivores that are kept in the pens, do not eat them! At today’s prices (October 2018) the cost of one live Impala is R 1 600; the cost of one live Kudu ZAR 21 000; the cost of one live Wildebeest is ZAR 5 000; the cost of one live Gemsbok is ZAR 9 000; the cost of one live Tsessebe is ZAR 11 000; the cost of one live Sable is ZAR 25 000; the cost of one live Zebra is ZAR 4 000. So you see, farmers don’t like having their wild “soft” animals being eaten by lion, leopard, wild dog, cheetah, hyaena etc. Fat to costly – keep them apart! 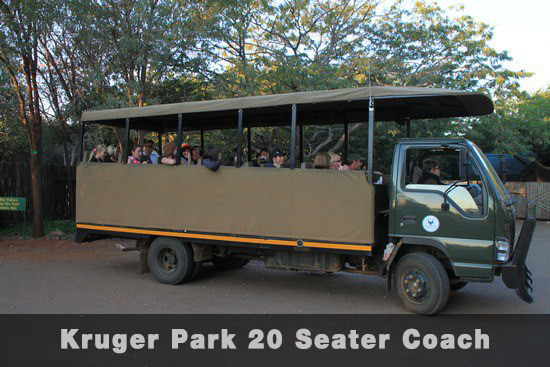 Doing a safari in one of these as “soft” reserves” is like doing a wildlife safari in a theme park or zoo at any major city in the world. I’m sure this is not the type of wildlife safari you are looking for? Then there are the “Big 5” Reserves. Game Reserves where all of Africa’s wild animals roam free. 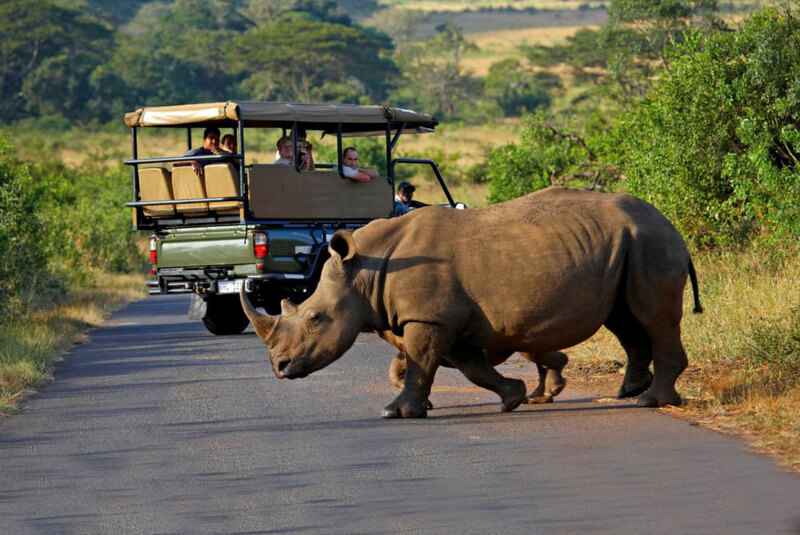 A wildlife safari in a “Big 5” reserve is what most people dream of when thinking of a wildlife safari in Africa. Make sure you get the safari that you expect. Free roaming lion, leopard, elephant, rhino, buffalo, cheetah, giraffe, wildebeest, zebra and all the rest of the animals you imagine, when thinking Africa, all free in their natural environment. 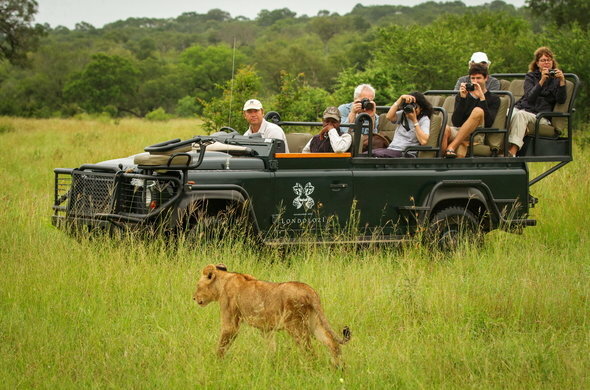 Many landowners have come to realize the wealth in offering wildlife safaris to overseas tourists, after all, a wildlife safari is one of the two main reasons people come to South Africa for. The other is South Africa’s scenic beauty like Cape Town, the Winelands, the Garden Route and many other natural beauty spots throughout the country. Some of these “game reserve” landowners have “rehabilitated” old farmlands and cattle farms to wildlife game reserves, again offering wildlife safaris. Some of these reserves, like Phinda in KwaZulu/Natal, and Shamwari, in the Eastern Cape are quite remarkable in the job that the ecologists have done in converting old cattle farms into pristine African bush. But these Game Reserves are few and far between. Wildlife safaris are now offered from the southern tip of the African continent, in Cape Town, north to the Limpopo River, the border between South Africa and Zimbabwe. So….. There are “reserves,” and then “There are reserves”! 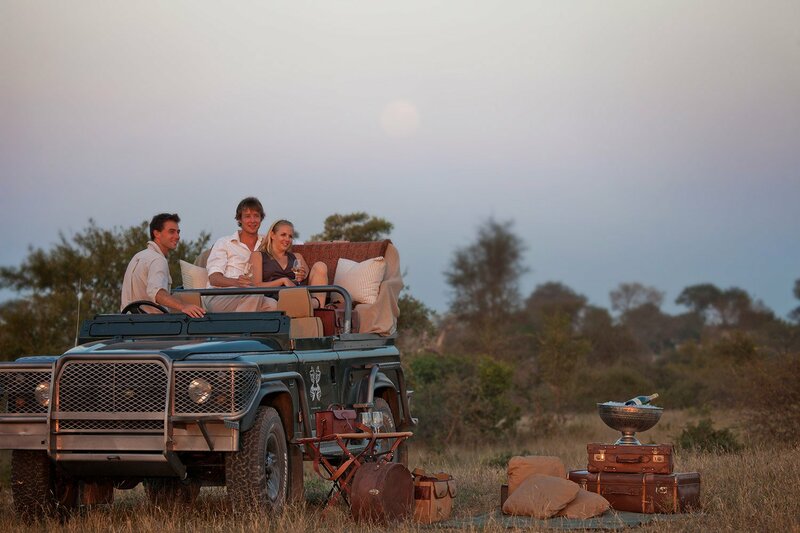 Make sure the safari that you book, lives up to your expectations, expectations of, “I dreamt of Africa”! It’s interesting to note that the last two elephants in the Cape Town area where shot in the Hout Bay area as long ago as 1689!! 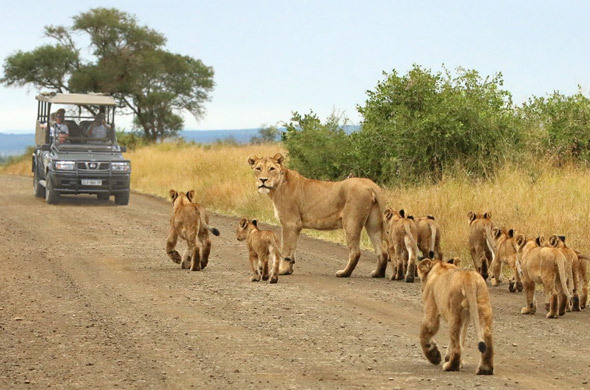 Without doubt, the best areas in South Africa for game / animal viewing and for a real wildlife safari is in the areas that, since time immemorial, have been home to all the Southern Africa’s wild animals. This is either in the Hluhluwe/Umfolozi Game Reserve in KwaZulu/Natal (Est. 1897), the Trans-Kalagadi National Park, and the Kruger National Park, which was proclaimed a National Park in 1926. Back to the reality of a wildlife safari in Kruger National Park vs. a safari at one of the Private Reserves adjoining the Kruger National Park. Now that you know the background between the two, the programme at all of the “Private Camps” situated in all the “Private Reserves” adjoining the Kruger National Park, all follow pretty much the same routine. Please remember that exact times are dependent on the season. Sunrise in December is at 04h30 whilst Sunset is December is at 18h45. Giving you 9¼ hours of daylight. Sunrise in July is at 06h30 whilst Sunset is July is at 17h30. Giving you 6½ hours of daylight. Depending on the season, you will be wakened by the Lodge staff, to assemble in the “public” area of the lodge for early morning tea / coffee/ juice / seasonal fruit / toast / preservatives / muffins / croissants etc before setting off for the morning safari / game During the course of the game drive safari you will stop somewhere in the bush for tea / coffee / hot chocolate and muffins, and to stretch your legs, before climbing back into the 4×4, to continue with your safari. Depending on animal activity, and the season, you will return to the Lodge at between 09h00 / 10h00 for breakfast. The heat of the day is free to either go on 1 to 2-hour guided “bush walk” with your armed ranger and tracker. 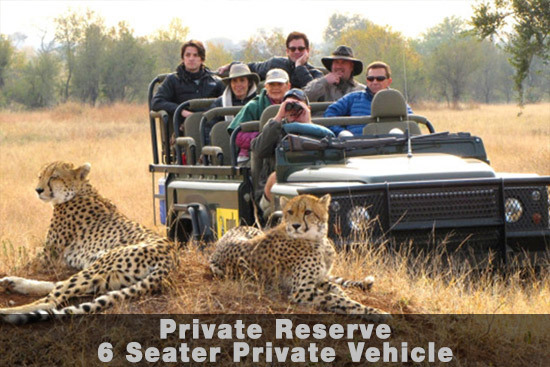 This activity of offered at most “Private Lodges” and may not be available at a “private lodge” which is situated on one of the “private concessions” in Kruger. Or you could spend time at the pool, to “chill out,” during the heat of the day, or wander down to the “water hole” to watch the animals come down to drink, or to just relax in camp. Remember – to quote Noel Coward’s song “Mad Dogs and Englishmen go out in the midday sun.” Lunch / brunch, call it what you wish, is served between 12h30 and 14h30, depending on, at which lodge you are staying, with afternoon rea & cake and scones / high-tea being served from 15h30 until it’s time to depart the Lodge for the guided, afternoon / evening safari (game drive.) At sunset you stop “somewhere in the bush” for sun-downers and after the sun has set, there is no “twilight” to speak of in this neck of the bush, you then carry on into the night looking for the nocturnal animals with the aid of a powerful spot-lap. The nocturnal animals are the cats such as lion, leopard, civet, serval, genet etc which you don’t see during the day. You will return to camp at about 20h30, depending on animal activity, for dinner which is usually in the “boma” under the African stars beside a roaring log fire. This is the way most people imagine an African Safari and is definitely the way to get the most out of your visit to Africa. That could range anything from ZAR 6 595 per person per night sharing, including all nature activities and all meals, plus conservation fees of ZAR 250 per person per night, subject to change, to ZAR 14 500 per person per night sharing, including all nature activities and all meals, local beers, wine and spirits, plus conservation fees of ZAR 250 per person per night, subject to change. Then there are reserves that charge more!!!!!! Dive The Big 5 looks forward to introducing you to South Africa’s most valuable asset, our Wildlife!